Imagine yourself enjoying a savory cup of hot cocoa under the stars after an evening of night skiing on Sun Valley’s Dollar Mountain, or strolling the snow-covered streets of Ketchum and Sun Valley, underneath the twinkle of holiday lights, as the sound of carolers filters through the air. The holidays in Sun Valley are magical, and these are just a few of the festive moments that await this holiday season. Don't know where to start? We've compiled your 2018 guide of must-see events and happenings from Christmas festivities to rock-the-house New Year's shenanigans! Join with family, friends and neighbors to flip the switch and start the holiday season. Gather at the Old County Courthouse at the corner of Croy and 1st Street in Hailey on Saturday, December 1 from 4:30pm to 6:30pm to see the Hailey holiday tree aglow for the first time this winter. The Papoose Club Christmas Bazaar is family-friendly event that celebrates the season of giving with gift items available for purchase. Pick up that perfect locally-made organic soap for your grandmother, or a leather-wrapped mason jar for your brother. Fresh baked cookies and a hot soup café will keep you full of energy as you shop. Pull on your winter boots and down coat for the Ketchum Tree Lighting Ceremony in Town Square. Santa will be on hand for pictures and to spread the holiday cheer, and hot chocolate, cookies, and candy canes will be served. The festivities kick off at 5pm. The Hailey Holiday Market showcases a diverse group of 22 vendors offering a selection of holiday edibles, clothing, and decorative items. Get your holiday shopping done early so you can bask in the season! Brews, film, and supporting the Sawtooth Avalanche Center…does a night get any better? Swing by Warfield Distillery & Brewery in Ketchum to see a screening of Level 1 Production’s Zig Zag, and enjoy $3 pints all night with the purchase of a $3 pint glass to support the Sawtooth Avalanche Center. Can’t get enough of classic holiday music? The Wood River Orchestra will be performing orchestral and ensemble arrangements of holiday music at The Argyros Performing Arts Center from 4:00pm to 5:30pm. The concert is free and family-friendly. A holiday treat for the whole family! Nightly at the Liberty Theatre, with the exception of Dec. 23-25. Festivities begin at 5:30pm in Sun Valley Village for the Sun Valley Tree Lighting Ceremony. The event features a visit from Santa, an ice carving demo, a no-host outdoor bar, live music, and free hot chocolate in cookies. There’s something for everyone! Come see some of the darkest skies in the world at the Winter Solstice Soiree, hosted by the City of Ketchum. Tunes will be provided by Audio Moonshine, and KB’s will be serving up free burritos and quesadillas in Ketchum Town Square, followed by free cookies and hot chocolate by the Hailey Coffee Company. Telescopes included! The Sun Valley Hallelujah Chorus will be performing a long-time community favorites, The Promise & Messiah, at the Argyros Performing Arts Center. In addition to the popular Christmas program, the Chorus will lead the audience in a sing-along of traditional holiday tunes. The Sun Valley ice shows are a sight to behold any time of the year, but the Christmas Eve show is one spectacle that brings a smile and a warm heart to everyone who attends. This is truly a time honored family tradition that lets us all know the Christmas is here. Fireworks and a light show of skiers wielding torches down Dollar Mountain is the last thing children for generations have seen before crawling into bed to wait for Santa to arrive in the night. Sun Valley Resort provides free cookies and hot chocolate. The event is free, and not to be missed. Come ski and ride under the lights at Dollar Mountain! This is a once-a-season opportunity to ski or ride after the sun goes down. The event is family-friendly, and features music, fireworks, face painting, a photo booth, and much more. 4pm–9pm. 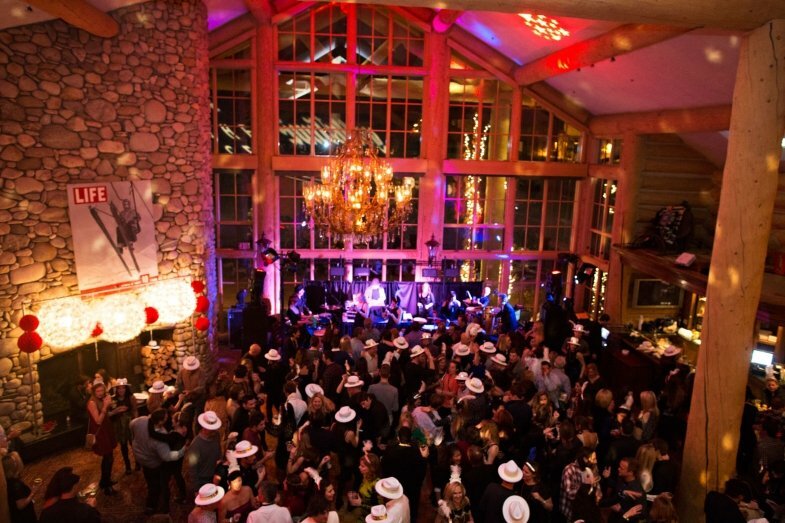 The New Year’s Eve Bubbly Bash, hosted by and a benefit for the Sun Valley Center for the Arts, is one of the hottest tickets on New Year’s Eve. Dance the night away to DJ Lady Sinclair, who is bringing along a drummer, horn players, and an electric violin. Get your tickets early, because the Bubbly Bash is sure to sell out. For the Musically Inclined, there's a great series of shows happening over the holidays! Even though we're moving in to the peak winter season, there are still some great deals to be had including 40% off your lift ticket when you present a 2018/2019 season pass from resort outside of Sun Valley.